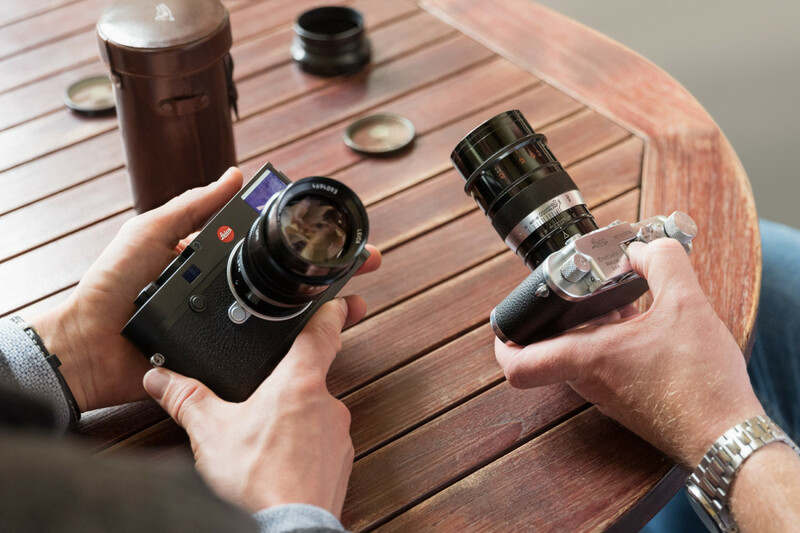 A legend reborn: following the Leica Summaron-M 1:5.6/28, Leica Camera AG has further expanded its lens portfolio with the Thambar-M 1:2.2/90, the modern renaissance of another classic lens. Just like its namesake from 1935, the contemporary incarnation of the lens is distinguished by its characteristic soft-focus effect and unmistakable bokeh. Its focal length of 90 mm is suitable for photography in a multitude of scenarios and is as good as predestined for capturing portraits with a uniquely aesthetic atmosphere that cannot be reproduced in digital postprocessing. 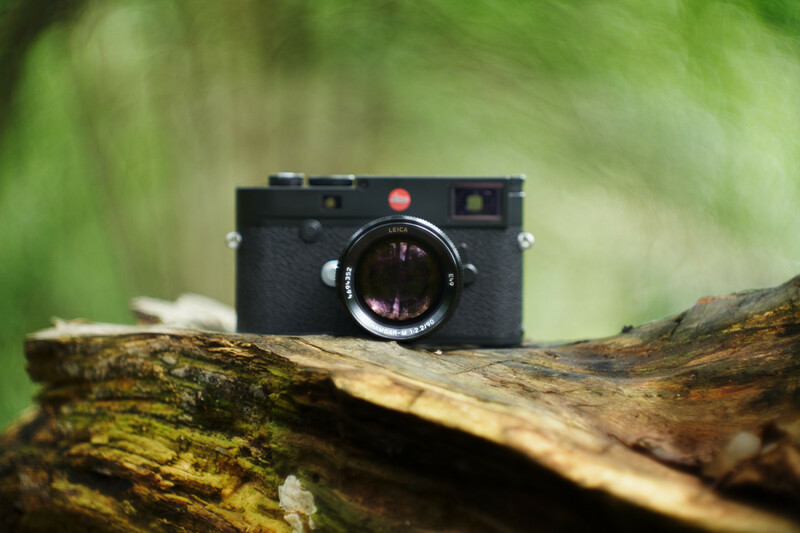 The new Thambar-M is thus an exciting addition to the existing Leica M lens portfolio and brings photographers entirely new possibilities for creative composition. The optical design of its ancestor remains almost unchanged in the new Thambar-M 1:2.2/90. It has therefore also inherited the characteristic properties of its predecessor. The only difference is that the four elements in three groups that make up the design have now been single-coated to protect the glass against environmental influences and surface corrosion. The 20 blades of its iris deliver a unique bokeh with perfectly round rendition of point light sources. The soft look of the Thambar is the result of intentionally accepted under-correction of spherical aberration. This under-correction increases towards the edges of the optical system with the consequence that not only the depth of focus, but also the degree of softening can be precisely controlled by means of the stepless aperture setting. The effect is more pronounced as apertures increase, and is continually reduced as the lens is stopped down to smaller apertures. The design of the original lens has been almost completely preserved in today’s Thambar-M 1:2.2/90. The black paint finish, the proportions of the lens and its aperture engravings in red and white correspond to the appearance of the original. 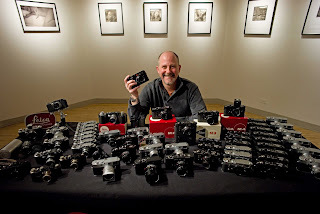 In addition to this, slight modifications have been made that bring the lens into line with the current, minimalist design of modern M-Lenses. These include the knurling, the lettering and scales and the specific use of sharp edges and bevelling that underline the precision of the lens design. ‘The name Thambar has always been preceded by the adjective ‘legendary’ – rightly so. It portrays people with a wonderful aura, in a romantic way – but landscapes too are raised to a higher, incomparably aesthetic plane. 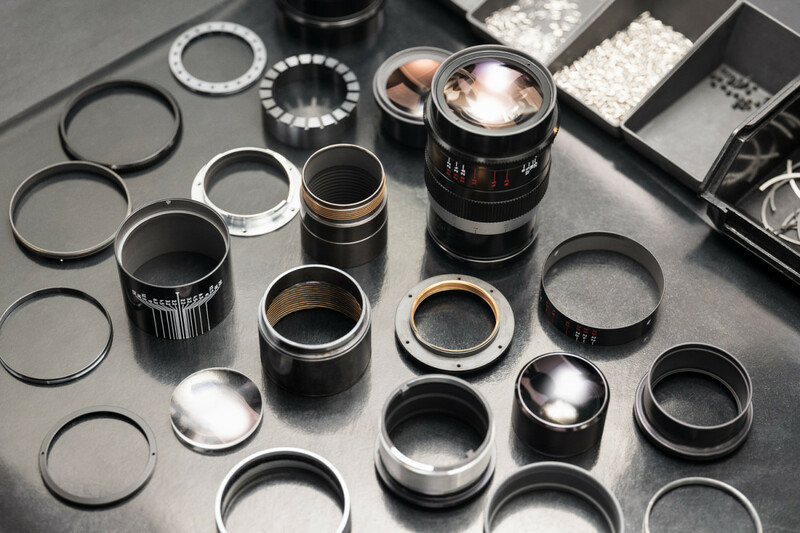 The addition of a new incarnation of this classic lens to our selection of vintage lenses was one of our greatest wishes – to my great delight, this wish has now been fulfilled.’ emphasises Dr. Andreas Kaufmann, majority shareholder and chairman of the supervisory board of Leica Camera AG. 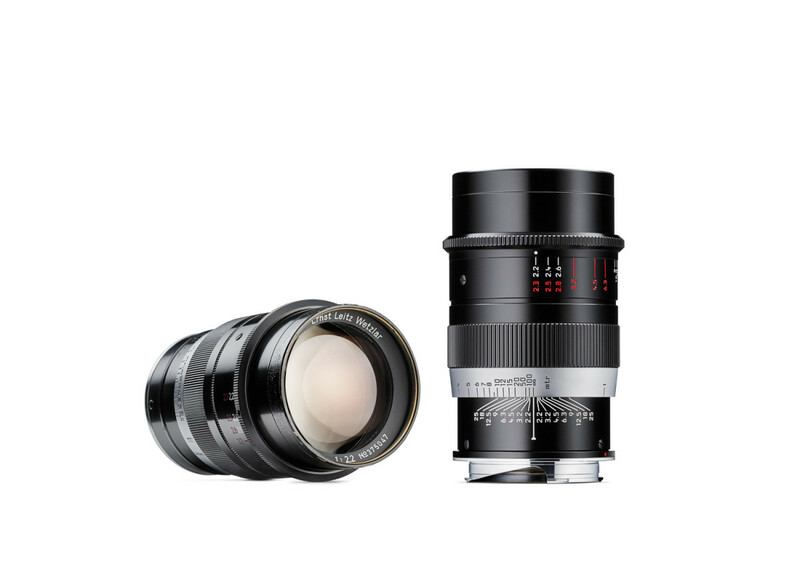 As is the case with all Leica lenses, the Leica Thambar-M 1:2.2/90 is also manufactured in strict compliance with the most stringent quality criteria. 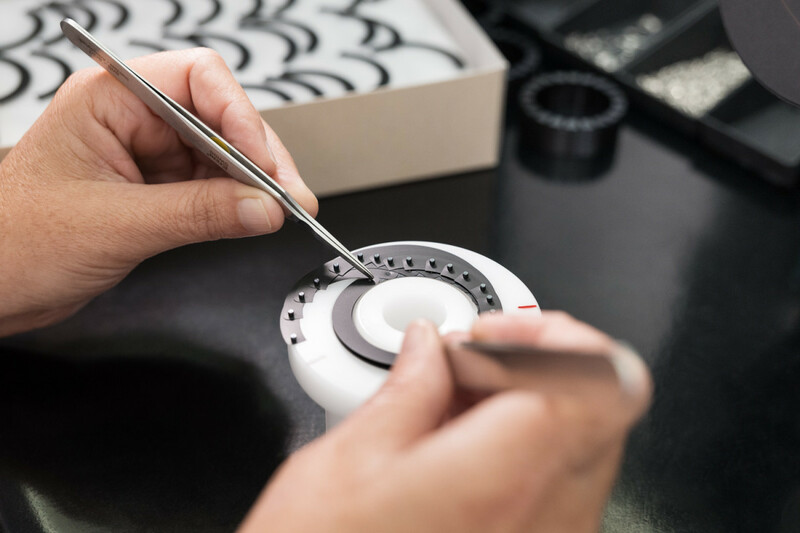 The use of only the best materials in its construction guarantee the familiar long working life of all Leica lenses. As was the case with the original lens, the lens hood, the ring of the centre-spot filter and both front and rear lens caps are made of metal. Even smallest details, like the felt lining of the lens hood and the front cap, contribute to the exceptional perceived quality of this lens. The design of the rigid lens keeper in ‘Vintage Brown’ leather is identical to that of the original from 80 years ago in almost every respect and, as in the past, the centre-spot filter can be safely and conveniently stowed away in its lid. 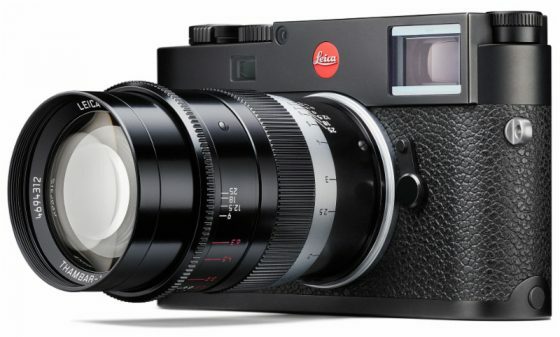 The Leica Thambar-M 1:2.2/90 will be on sale from mid-November 2017. 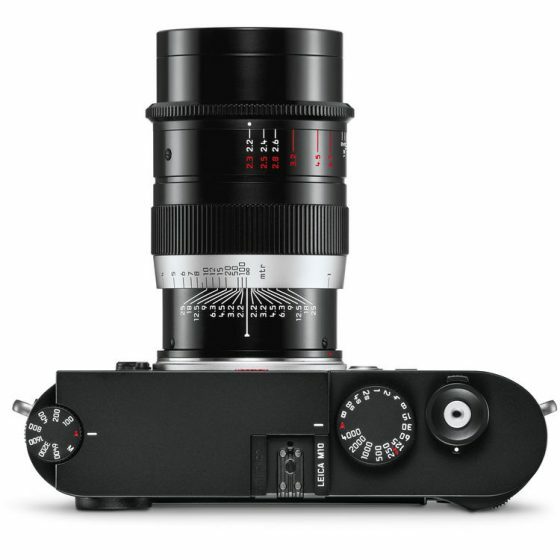 Today, Leica has announced the new Thambar-M 90mm f/2.2 lens for the Leica M-System. Much like the Summaron-M 28mm f/5.6 re-issue last year, the Thambar-M 90mm f/2.2 features a similar optical design to the original Thambar, which was produced from 1930-1939, but with modern construction and lens coatings (and it’s 6-bit coded too!). The original Thambar, left, and the reissue on the right. The original Thambar (which comes from the Greek word for “blurred” or “out-of-focus”) was designed with portraiture in mind, and has become an extremely collectible lens due to its low production numbers and unique rendering. The lens has two aperture scales, with one designed to be used when the included center filter is attached, which further increases the soft-focus effect. This design feature has been carried over to the reissued lens, which has now an E49 (49mm) filter size. The new Thambar brings together classic design with modern construction. 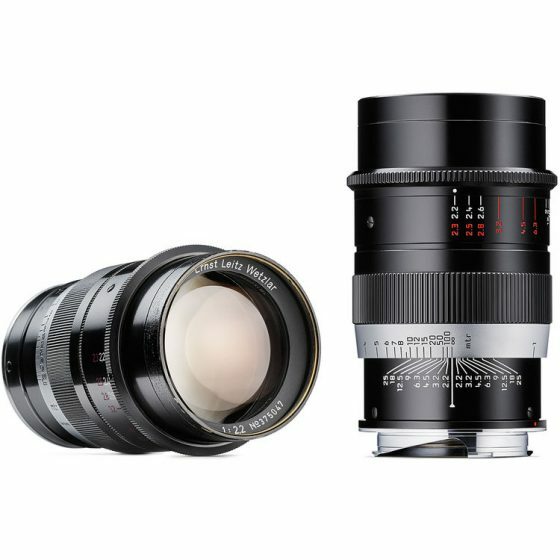 Leica Camera is pleased to expand its line of classic lenses with the Leica Thambar-M 90mm f/2.2. First introduced in the mid-1930s where only about 3,000 units were produced, the new Thambar-M 90mm f/2.2 has the same optical design but a modified exterior. 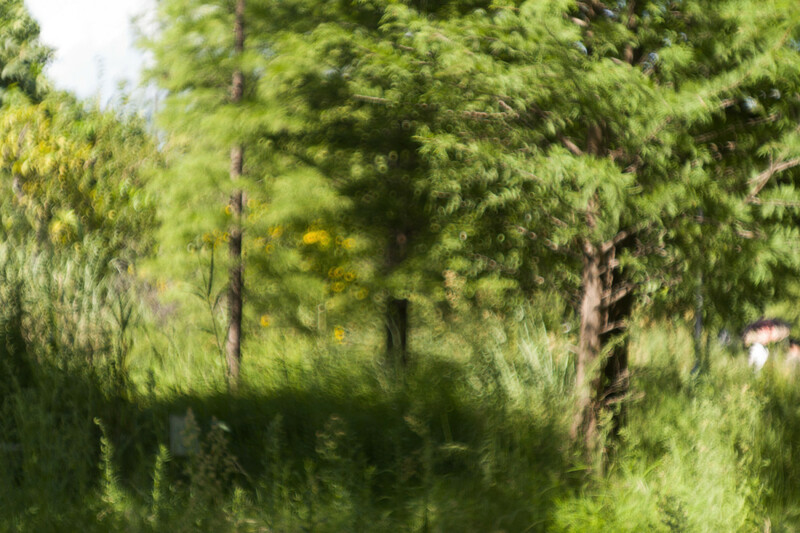 The lens still produces the same dreamy, soft focus look of the original 83-year old lens. Optical design similar to the original Thambar-M 9cm f/2.2. Lens elements are now single-coated to protect the glass from the elements and corrosion. 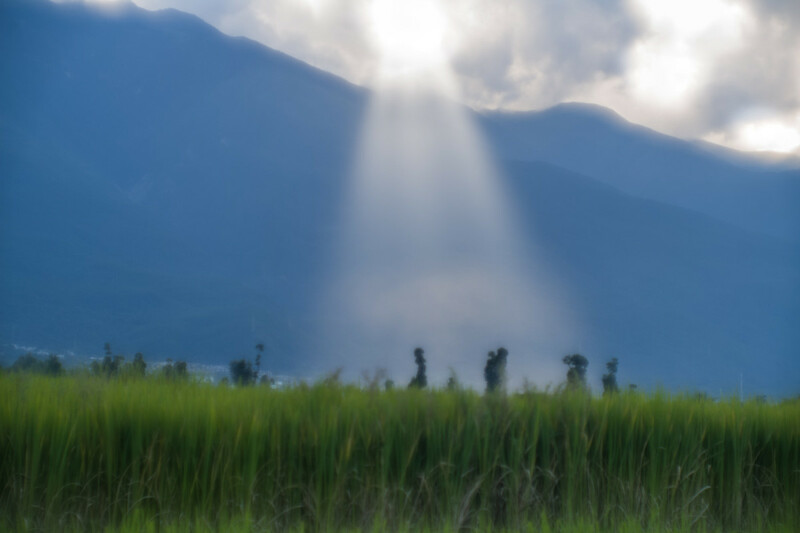 Ensures the same, distinctive dreamy, soft focus look and unmistakable bokeh. Provides unmistakable imaging signature which cannot be reproduced by other lenses or digital processing. Same proportions as original lens, with black paint finish and red and white aperture scales. Red scale applies when the included center spot filter is in place, for a more dramatic soft focus effect. When working without the center spot filter, the white aperture scale is used. Meticulously crafted to the highest quality standards, with a primary focus on high-grade materials and durability. Made in Germany, with a delivery scope that includes: metal lens hood, center spot glass filter with metal rim, metal lens cap and a hard leather case in vintage brown color – similar to the original. The Thambar-M 90mm f/2.2 will be available from late November 2017. 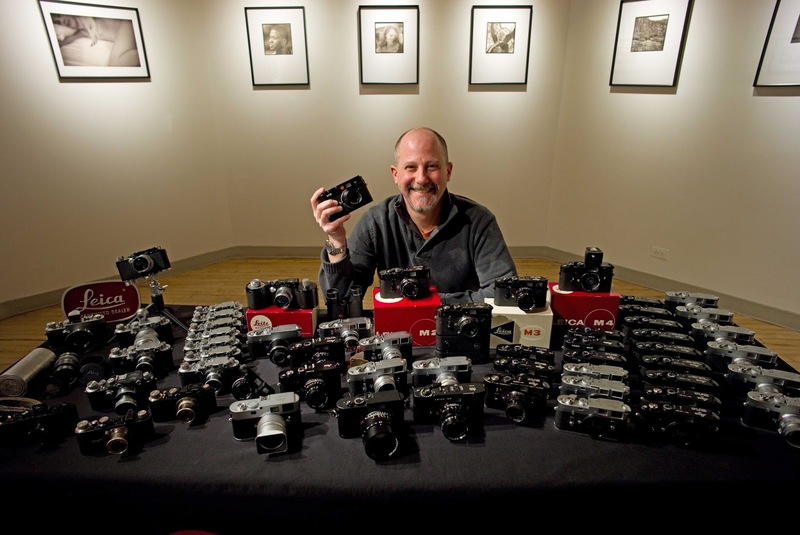 Leica has provided a variety of images which show the lens’ soft-focus properties. With an almost painterly rendering achieved entirely in-camera, the Thambar creates images like no other lens in Leica’s current lineup. I imagine this lens could add a unique twist to a wide variety of subject matter, especially when paired with live view on a camera like the M10 or SL, which would allow for precise control over the focusing effect. Although this could be a fun lens on the TL2 as well, where it would become a 135mm f/2.2!